I am a paramedic and I was an Aerospace Engineer before I became a teacher. On this 11th anniversary of that horrible day, I would like to share my experience of that event. I was working at Sikorsky Aircraft in Stratford, CT as an engineer on that day. We started to get information from phone calls and then we all started checking the internet for news. Our security department, which is well trained and armed from having to guard the presidential helicopters, locked down the facility. It turns out later that we were on a target list that the terrorists had. I received a call from American Medical Response (AMR) which is the ambulance service I worked part time for in Bridgeport, CT to report for duty on 9-12-01 to respond to New York City as mutual aid for our New York division. During the whole day of 9-11 though, I felt helpless as I was trained to respond and help but couldn't get there. Not much work got done that day as we all tried to get more information on what happened. As the towers fell, we fell into shock like the rest of the country. The next day, 9-12-01, I responded with AMR to New York City- we were sending units down from Bridgeport and New Haven to relieve our Long Island and Brooklyn crews that responded as part of the initial mutual aid response. We were escorted by CT and NY state police to the staging area at Chelsea Piers in Manhattan. On the way down, we had people honking and waving at us. As we would drive over the highway bridges in CT we could start to see the smoke from the Towers and realized how bad things were. While at the Chelsea Piers awaiting an assignment, we saw New Yorkers walking up to the police line with donations of clothing, food, water, and more for all of the people from lower Manhattan who had been evacuated. This out pouring of support never ended. We saw it everywhere. Professional athletes from the Yankees, Mets and other teams also lent a hand at shelters and pitched in where they could. As we moved from the Chelsea Piers to our assignment at the Staten Island Ferry terminal, we saw the NYPD Academy cadets were out assisting with traffic control and they saluted our convoy of ambulances as we passed by. New Yorkers were out in droves, waving flags and cheering us for coming to help. It was amazing. Once in NYC, we were split up. 3 crews (myself included) were sent to the Staten Island Ferry terminal, were a triage and treatment center was set up (about 5 blocks from the WTC). We were controlled by a FDNY EMS Lt. She would dispatch us as needed to calls, along with 5 other services that had ambulances there (Jamaica Hosp.EMS, Bellmore Merrick EMS, FDNY EMS, Beth Israel Hosp EMS, and Rocky Hill (NJ) EMS.) The crews were all wonderful and we made some new friends. In between patients and calls, we talked about the difference between NY and CT EMS and told stories. These ambulances actually covered 911 calls in the area, as well as calls from the disaster site. More than once, an ambulance was sent to the site, only to be turned around because the rescue teams couldn't get to the victims that they knew were there. There wasn't much to do for anyone. Many FDNY FF's were taking the Staten Island Ferry home, so as they came to the terminal, we checked them over and treated their injuries and rinsed the dust out of their eyes. There were a few nurses and a doctor with us at the site also. We treated lacerations, and rinsed almost everyone's eyes out (the dust was everywhere.) The FF's were all exhausted from long hours of digging. Then the word came, two more buildings were in danger of collapse - and then they collapsed. My partner and I ended up going to that area to evacuate a cancer patient from his apartment (building next to the one that collapsed) and the area looked like a war zone. The building next to us was gone, the one next to that half gone. 8 inches of dust covered everything. National Guard, PD, FBI, Federal Marshalls were everywhere. air. Everyone covered in dust. We transported the patient to Long Island College Hosp in Brooklyn. The staff found out we were from CT and thanked us over and over for coming to help. They had no real information about what was going on because cell phones weren't working well in the area. We had to pass through a check point to get into the Brooklyn Battery Tunnel and the police checked out ambulance in side and out and then we had to go through the same thing to get over the Brooklyn Bridge. It was really weird being the only vehicle in the tunnel or on the bridge. We then returned to Manhattan and ended up at the WTC site. It was surreal. Two 110 story buildings are now just piles of metal and concrete. I estimated only about 20 people were actually working on the site, most were standing around and waiting for something to do. We were wearing masks at Ground Zero, but noticed that the dust was still getting through the masks. As it turns out, my exposure to the dust has left me with reactive airway disease, which is similar to asthma. Many responders ended up with respiratory diseases from the dust, and no one really knows the long term effects. We then returned to our staging location, helped more FF's, and finally went home. It was an experience none of us will ever forget. FDNY had a good system set up, and they, along with the other NYC services, were extremely nice to us. Businesses were feeding rescuers for free, and churches were setting up food and rest stations for rescuers. The overall feeling was of hope and cooperation. It was an experience that has changed me and my outlook on EMS and life. In the middle of all of this tragedy, many good things have happened. One other thing - there weren't any fighter planes overhead that we could see, but there were multiple helicopters flying around, both for security purposes, and to survey things from the air. The Coast Guard had Liberty Island completely blocked from all access. US Marshalls, FBI, National Guard, SWAT, PD were set up everywhere, especially at the Empire State Building, USS Intrepid, and other major points. I was able to pick up a cell site in New Jersey so I could call my fiancée and let her know that I was ok. There were all kinds of reports of rescuers being hurt, so I was good that I could let her know I was ok. My, now wife, is also in EMS and knew what I was going through, so it was nice to be able to talk to her. I returned to the City on November 18th, 2001 for the EMS Memorial Service. Eight EMS workers from various agencies lost their lives on 9-11. Many of the police and fire fighters who died were also EMTs and all of us in public safety are a family. The memorial service was held at the Jacob Javitts center in Midtown and was attended by EMS providers from around the world. During the service we met EMTs and paramedics from West Germany, Japan, England, and all over the US. After the memorial service, we went down to Ground Zero. As we were let through the blockades by the police, the crowd of civilians started cheering for us and calling us "heroes". We didn't feel like heroes. We had just done our jobs and wished we could have saved more. At Ground Zero, there was a makeshift memorial set up on the wall of the firehouse that was there. People were leaving their service patches on the wall. As we started cutting our patches off of our uniforms to put up there, I heard a voice say "Hey, brother, can I borrow your knife?" It was a paramedic from California who was there to pay his respects. He cut his patch off of his dress uniform as a gesture of support to the New York City services who lost so many of there members. It was a very emotional scene at Ground Zero. This experience was profound for me and I have to remember that my students were only 7 or 8 years old when this happened. They don't have the same memories I do. But, they do know about it and I am happy to talk about my experiences during that time. I feel privileged to have been able to respond to New York City and assist. I will always remember that time and the people I met and how America came together in a time of tragedy. 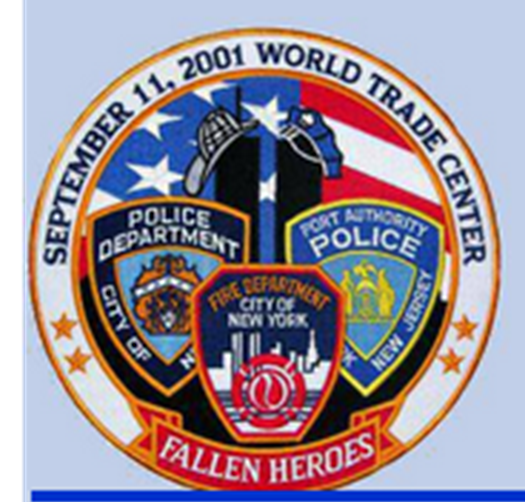 I will never forget my brave brothers from FDNY and EMS and Police that raced to help that day and lost their lives. I will also never forget that day or that experience because of the health effects on me. The dust from the collapse and burning of the buildings and aircraft was everywhere. It even got through our masks that we wore. Many rescuers, myself included, got that dust in our lungs. It has affected many and some rescuers have even died from it. I was diagnosed with Reactive Airway Disease, a disease similar to asthma and bronchitis, because of the dust I inhaled while working in NYC after the attacks. I will be on medication for the rest of my life to control the symptoms of the disease. I live with a constant reminder of that day. I'd love to hear other people's memories and experiences of that day. Great collection of sites about Osama bin Laden, terrorism, and the wars in the Middle East from Larry Ferlazzo.